WHY MASTERNODE COINS FAIL - OVERSUPPLY OF COINS: Most masternode coins generate an excessive number of coins to synthetically keep ROI high. This is simply unsustainable and these coins have found this out the hard way and had to fork to increase collateral requirements. By then it was too late, the market was flooded with cheap coins, the price had fallen and they had to dig their way out of a hole, only to have this process repeat in a few weeks before they collapsed again under the weight of their own coin supply. SOLUTION: CatoCoin is different and has increasing collateral requirements right from the start with Patent Pending 'NextGen Technology' (without requiring any forking or wallet updates). CatoCoin does not generate an excessive number of coins. Our graduated ROI is excellent, but not so high as to contribute to our own demise: in a word, the ROI is 'realistic'. 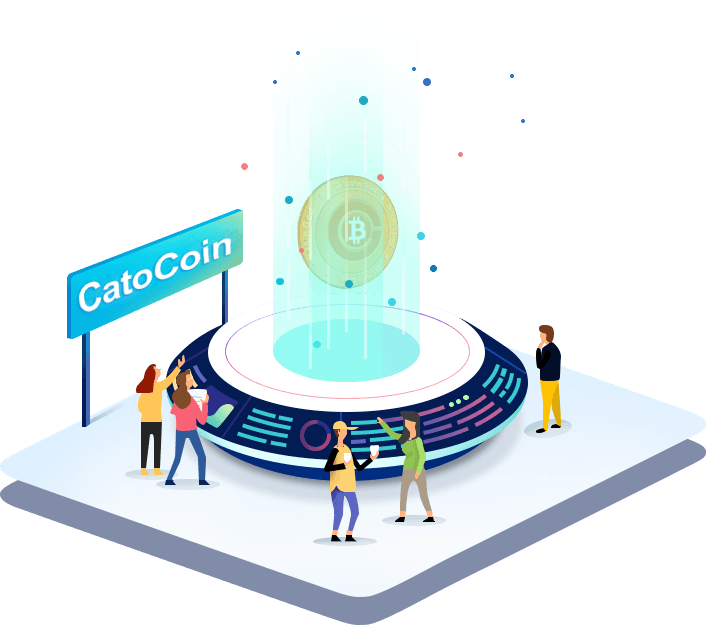 This insures that even in a crypto ecosystem with an increasing coin supply, CatoCoin retains and increases in value because it takes more coins to 'get into the game' as the number of masternodes increase. Yes, our rewards increase over time, but our collateral requirements increase at an even faster pace, thereby increasing demand. Your CatoCoin Masternode is an investment. Once your Masternode is activated, the 'masternode output' is registered in the block chain. This means that a Masternode purchased today will be worth more when there are 100 Masternodes and even more when there are 500 Masternodes because of CatoCoins increasing collateral requirements, even while you're making money along the way. Can it get any better than this? We are innovators and thought leaders. Our intent is to DISRUPT the status quo - where every coin is just a clone of another coin with no innovation. The long-term value in CatoCoin will come from our Innovations and then sharing those innovations through open source. For instance, our revolutionary algorithms to adjust reward and collateral without de-activating your masternode are now open-source through our Github repository. Our goal is to continually revolutionize the Masternode Coin Marketplace through innovation and to be the disrupters. Our patent protects our NextGen Technology from commercial exploitation and positions us to leverge this technology in commercial applications if and when the opportunity arises. Concurrent with the release of this revamped website, we've released the CatoCoin Investors Portal which is specifically designed for non-technical investors who do not have the time, desire or technical accumen to perform all of the manual steps necessary to purchase bitcoin, purchase Cato and setup a wallet for staking or masternodes. The portal will be available initally a dozen or so investors in Cato who have gotten involved through our legal counsel. The portal will opened at a later date to other CatoCoin holders whose private wallets can pass our strict security standards. Rest Assured - this is just the beginning with CatoCoin!